We are immensely proud to welcome each and every participant to the International Scientific Meet “10th International Conference on Biopolymers and Polymer Sciences” scheduled on 18-19, November in Helsinki, Finland. Themed “A Headway Towards Novel Biosynthesized Materials and Next Generation of Synthetic Polymers” BiopolySci 2019 will be an immense gathering of Renowned speakers, students, professors, Businessmen and researchers, who will be participating for the scientific discussion on Biopolymers and Polymer sciences. The conference will hold a variety of critically important sessions for the recent developments and technologies. We are welcoming participants across the globe to present via oral presentation, poster presentation, workshops and exhibition (display products and concepts) video presentation (offline). Submit your abstract to participate as a presenter in a multicultural environment. We also, invite several renowned keynote speakers for our sessions for delivering a truly memorable learning experience. BiopolySci 2019 is a 2-day established conference for the development of biopolymers for a future bioeconomy and new and advanced polymers. Modern research on the economic manufacture of biopolymers has given way to finding new technologies to mass produce these materials. Biopolymers can be very advantageous. Utilizing renewable resources to produce biopolymers can be vital for expanding resource productivity, such resources can be cultivated throughout the year and provide a yearlong supply, biomass can primarily be used for material production and later for energy generation once it’s unusable. Carbon footprint and GHG emissions of some products can be greatly reduced and thereby saving fossil fuel resources and gradually in time substituting them with bio-polymeric materials for a sustainable future. The use of biopolymers could be amplified as we achieve increased durability with more advanced production method, which will result in the decline of manufacture cost. Bio-plastics can replace conventional plastics in the area of their applications and can be used in different manufacturing sectors such as food packaging, automobile components, utensils, plastic storage bags, storage containers or other plastic or composite materials items that you are currently purchasing, therefore, can help in making environmentally sustainable products. Bio-based polymeric materials are closer to the reality of replacing conventional polymers than ever before. In today’s world, biopolymers are typically seen in many applications ranging from commodity to more advanced technology, thanks to progress in the field of biotechnology, material science and also due to increased public awareness. BiopolySci 2019 is a scientific conference the specially designed for presenting advancements in the concept of bio-based materials or biopolymers and synthetic polymers and its application in material science, construction, production, packaging,engineering, health care and biotechnology. This occasion presents all the members and delegates the opportunity to have discussion with experts belonging to various disciplines of materials science and polymer research to express their visions and recent developments , new technologies, novel resources and raw materials. The market for biopolymers has seen a steady growth and is predicted to reach a growth level that has never been seen before. Polymeric materials have also evolved to perform more versatile functions and are being integrated into various fields including, aerospace, automobile, electronics, drug delivery, medical implants, packaging, dentistry and many others. Participants will be given an chance to Convene representatives of their Business sector and share ideas on technology and innovation on biopolymers and Polymer sciences in this multicultural meeting, this is the greatest chance to tune in to world-renowned keynote speakers, scientists, doctorates and researchers from all around the globe who will give their vast knowledge and newest advancements in bio-polymer technology. BiopolySci 2019, International conference will be held in Helsinki, Finland. Finland is rich in forest resources and about 78% of its total land area is covered in forest. Wood resource is already being put to use in the Finnish economy. Construction, furniture, paper and packaging industries are in abundance in Finland. Several major industires such as Ikea, is introducing their own line of bio-plastic based furniture for a bio-based economy. Like other nations of the EU, Finland also has entered the development and usage of bioplastics and other bio-based products in response to the regulations placed by the government for the reduction of plastic usage and environmental concerns. Regarding its rich forest resources, Finland has recognized its importance and the wood materials usage is embedded in the Finnish culture. Therefore, several research laboratories and small scale start-ups are emerging throughout the nation. New products such as biocomposites, paper mulches and biofuels have been launched in recent years. Wood cellulose, lignin and bioactive components can offer new product opportunities for companies that are currently using other raw material sources, while also creating completely new business possibilities. Biodegradable polymers are one of the most advantageous alternatives for synthetic polymers in terms of eco-friendly solutions for material production. Some of those advantages include, manufacturing from renewable resources, thus eliminating the problem of exhaustion. Secondly, they exhibit biodegradability, the polymer in will ultimately decompose and used as compost. The most utilized biopolymers include lignin, starch, chitin, cellulose, etc. They are available in abundance in the environment, but the sources vary and selecting the most reliable and developing efficient method of extraction is matter of importance. Lignin and starch are the readily available sources as they are available in tons as a result of waste product from pulp and paper industries. Plants and crop waste are also an abundant source for biopolymers and they produce it in large amounts for the purpose of maintenance and structural integrity and carbon storage. The stored biopolymers can be utilized in bulk material production such as plastics and elastomers, in the response to depleting oil resources and climate change. This is a technical and bottlenecks in production of novel or improved materials in transgenic or alternative crop plants. If plant sources aren’t sufficient researchers can look into the animal kingdom for more resources. Crustacean exoskeletons have been used and researched for a long time as a viable source for chitosan, it is also available in waste from the fishing industry. Several similar novel resources can be exploited for biopolymers extraction and processing for economic and bulk production. Biopolymers and bioplastics market is experiencing a robust growth from the past couple of years as the increase in petroleum prices and environmental concerns. The current forcast provides us some positive insight for the growth of the bio-based products and End use industry. It is already predicted that the market is headed towards a growth of 14.92 billion by 2023 and currently in 2018 the market is at 6.95 billion. 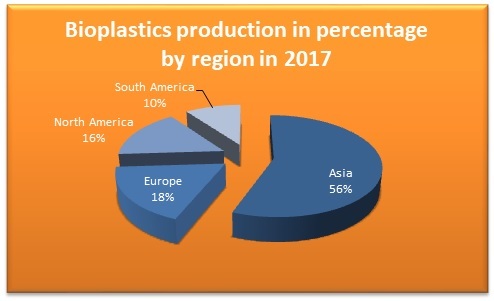 The global demand for bioplastics from the packaging industry, increase in waste management regulations Europe and USA have attributed to drive the biopolymers and bioplastic market. 9th International Conference on Biopolymers and Polymer Science was successfully hosted by Conference Series Group in Bucharest, Romania during November 19-20, 2018. The conference was organized around the theme “An Infinite Supply of New Age Materials for a Green Sustainable Future”. Active participation and generous response was received from the Organizing Committee Members, Editorial Board Members of Journals as well as from Eminent Scientists, Talented Researchers and Young Student Community. All the support and cooperation from the Organizing Committee Members, Researchers and the Speakers had made BiopolySci 2018 a successful event. BiopolySci 2018 Organizing Committee would like to thank the Moderator of the conference, Mariana Costa, Instituto Politécnico do Cávado e do Ave – IPCA, Portugal who contributed a lot for the smooth functioning of this event. We thank all the members who supported the conference by encouraging the healthy discussions. Conference Series Group expresses its gratefulness to the Organizing Committee Members, Chair and Co-chair, Editorial Board Members of OMICS Group journals, Speakers, Students, Sponsors, Exhibitors and Media Partners in making BiopolySci 2018 a great success. Bookmark your dates: Let us meet again @ “10th International Conference on Biopolymers and Polymer Sciences” during November 18-19, 2019 at Helsinki, Finland.